Employee Advocacy in 9 questions? I recently organized an event together with “ADM – Where Business meets ICT” on the subject of Employee Advocacy. 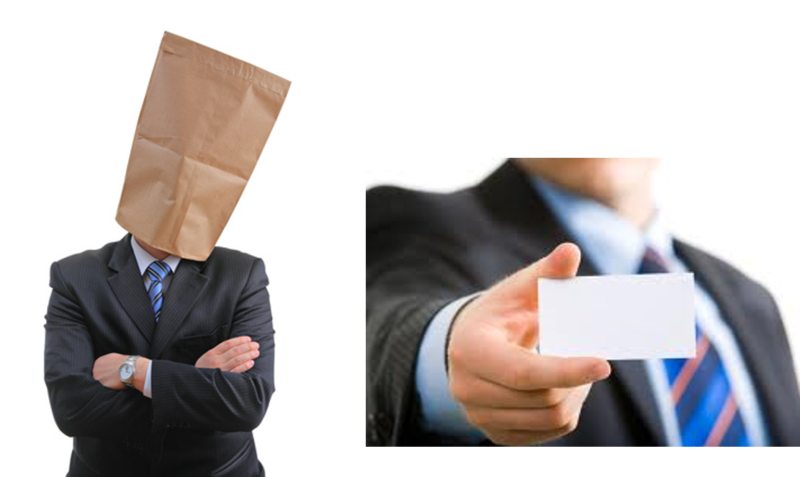 It is a hot topic for many companies as the low hanging fruit for brand ambassadors has not been picked yet. Q1: What words come to mind when you hear the word “Employee Advocacy”? Here is what the audience thought…. We all know that Employee advocacy” is a term used to describe the exposure that employees generate for brands & company using both their own online and offline assets. About 2 out 3 companies that took part in the on line survey during the event had a program in shape or form for EA. Most of the Advocacy seemed to happen on LinkedIn (45%) while Twitter and Facebook came in 2nd with about 23%. In most companies between 15% and 25% of employees are being advocates. Q5: What Employee Advocacy programs do you know? One thing that is clear is that even though there are many platforms out there, people seem to know few of them. Though marketing seems to be the biggest driver (46%), HR and communications are close seconds. Even though we seem to hear that incentives are the key to successful EA, most of the companies in the survey disagreed. Less than 30% offer incentives to their employees. Now with Employee Advocacy comes the danger of having things go wrong so having a clear up to date social media policy is key. As my other research has shown about 50% of companies are not paying attention and have no or an outdated social media policy. Q9: Who is responsible for the content that will be shared through Employee Advocacy? The obvious answer seems to be marketing but stories from and by employees seem to be the trick to successful EA. What words come to mind when you hear the word “Employee Advocacy”? Does your company have an Employee Advocacy program? On what platforms is your advocacy happing? What % of your employees participate in advocacy? What EA platform are you using or know of? Are people incentivized for being an advocate? Do you have an updated social media policy? Who is responsible for creating content to be shared via EA? The last few weeks it has been raining negative messages around Twitter. 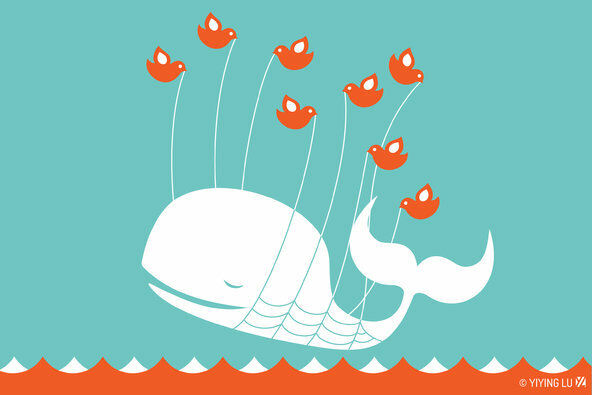 But what if the Twitter whale really washed up on the beach what would the consequences? The first group of people impacted are those companies that make tools to slice and dice Twitter. There will be a lot of blood flowing on the floor. From monitoring platforms to posting platform and tools of all other kinds. I see you thinking: “It is only startups and who cares? But it is not only a large number of startups that would go out of business overnight but also some of the big players would get hurt and have to let go of people. Not to mention companies using these tools. OMG! 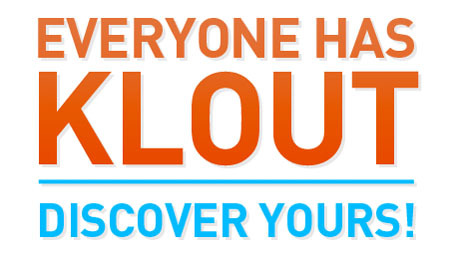 The Klout score could really disappear for real. Twitter has been the tool that many companies have used to provide customer service and/or get close to the r customers. All of a sudden they would lose their eyes and ears on their community, Back to phone canvassing or trying to move the communities to one of the remaining platforms. Let’s be honest, you don’t want the twitter type conversations on LinkedIn or even Facebook as a company. And how about the users of Twitter. They would have so much time on their hands. No more checking their influencers (an retweeting or pressing like), no more content curation, no more personal branding tweets to be sent, no more customer service complaints, etc. just to name a few. What would they do with all this regained time? Let’s be real, Twitter washing up on the beach would mean that we are left with only 2 real networks. Google+ has been catching rays on the beach for a while now. Would Tweeps really move to LinkedIn and/or Facebook with their content and messages? What a nightmare that would be for both the platforms, companies and users. I can’t image what messages on LinkedIn will look like or how the amount of spam in LinkedIn groups will spiral as the (professional) influencers from Twitter flock to LinkedIn. What if more people started to complain about company services and products on Facebook (or LinkedIn for that matter)… Could customer service really move to Facebook? I guess Not! I can do it too! 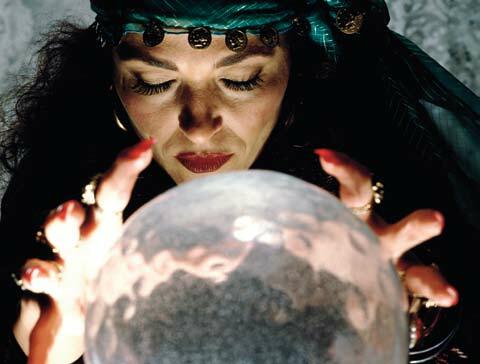 3 outrageous prediction for 2015. As one year comes to and end and the new year is about to start, we find ourselves in the time when annual reviews and 2015 predictions are plenty. I am slowly getting fed up with large number of posts about the future. BTW, which of the 2014 prediction come true? No one really checks. 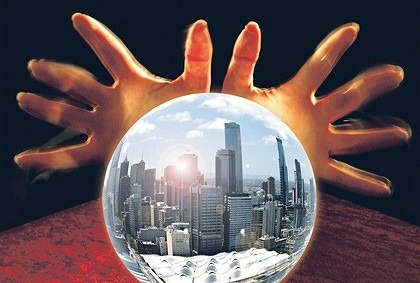 It seems everyone has a crystal ball and is a futurologist or trend watcher. Where did the time go when Madame Soleil was the person to go to to get predictions for the new year. Nostalgia… I guess I must be a romantic. My 3 outrageous predictions for 2015! Facebook will disappear this year! For the last year or so, we have heard more and more people saying they want to stop their Facebook account because of the ever changing privacy rules or abundant advertising . But guess what? Facebook is not stupid and saw this coming. So they are launching Facebook for Business now. More constant and better money flow? Great move on their behalf except that most people use Facebook for private use (not business) and are shutting down their account. Why should companies get started on Facebook for Business. I guess death will quick. All those sleeping Google+ users (Gmail users, Android phone users, YouTube-ers, Bloggers, et al) finally realize they already have a Google+ account. Moreover, since they are running away from Facebook, Google+ becomes the next safe haven where their friends will be posting their personal updates. And yes, privacy is much better and less advertising. So getting to 1.6 billion members in 2015 will be a piece of cake. Sorry Ello.co or seen.it. I can see you shake your head but think about it. Microsoft already owns the largest Enterprise Social Network (Yammer) which focusses on the intra-company social media so it make sense to add an external social media network to it. Business meets Business. And yes, Microsoft has the cash to burn. A marriage made in heaven for professional social media and networking. The benefit for LinkedIn will be that finally the company pages really get developed to create more value to the business users. What do you think? 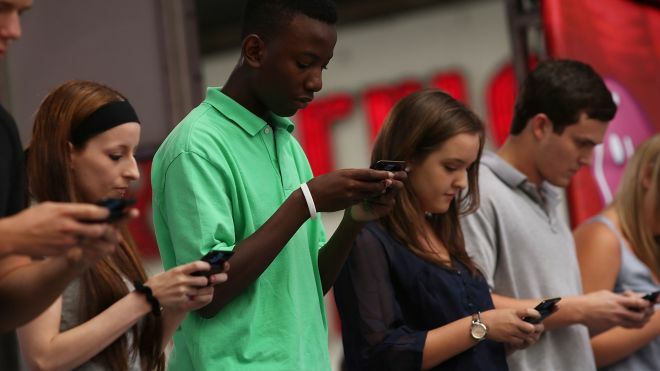 Do you agree with any of these outrageous social media predictions? Do you have any you’d like to share? Please share your comments below. How social is the CIO-of-the-Year 2014? The end of the year is slowly on the horizon. And with that come numerous competitions for “best in class”. One of these is the Datanews “CIO of the Year” competition. Sometime ago (august) the list of the top 10 nominees was published. Each of the nominees was selected for having a good vision, strategic insight, leadership qualities and personality. And then is was up to the the public to vote who will be in the top 3! The winner will be crowned on November 20th in Brussels. I started wondering how these CIO’s would go about promoting their candidacy for the top 3. One great place to do this is social media. Think of the success of #TVVV or #BGT. Since I had some reasearch (blogpost of April 2011) a long while back, I decided to take another look on social media. After all these years I expected the presence to be much improved. But no, it was again (still?) staggering to see their presence is very limited. All CIO’s have a reasonable complete profile and good amount of contacts. However, few have discovered the functionality of sharing a Status Update which could be formidable weapon in their quest to become one of the Top 3 CIO’s. Only one CIO noticed that I visited their profile and wanted to connect. The rest did not even click back. Well I guess who will get my vote. 7 out of the 10 do have a twitter account which I think is great. When it comes to tweeting few have masterd the art. They all remain under 300 tweets (all-time) and 50% have not tweeted at all. I just wonder if they know who is following they. Half the CIOs are on facebook. And of those who are, none of them have protected their friends and/or pictures. I would have thought they of all people would know something about privacy. CIO’s seem not to missed Google+ completely. I think 3 have discovered it probably by accident but their profile lack content and general information. It is as good as empty. 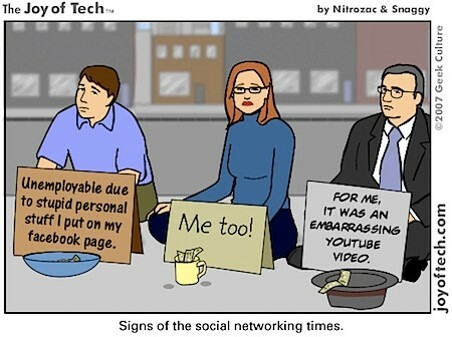 But then again, Google+ is considered to be the desert among social media platforms. Maybe CIO’s will move directly to ello.co? When it comes to leadership one would hope that CIO’s run a blog but unfortunately, I was not able to find one. Neither do they have a slideshare account or YouTube channel. But one could say this is only for marketing. How Often? When? And How Many? There are all kinds of statistics around about when to post where and with what frequency in order to reach as many people as possible. Over the course of the summer, I conducted a survey among my LinkedIn contacts, Twitter followers and Facebook friends to understand their social media behaviour. Here are the results. Check Frequency: 45% check Twitter mulitple times per day. Add another 17% that checks it daily. Check Peak: The prime moments for checking Twitter seems to be during and after work hours (over 70% for both categories). The morning seems to show the lowest activity and so do breaks. 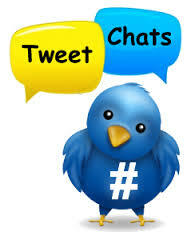 Post Frequency: There is a wide spread which is linked to the large number of lurkers on Twitter. However, it seems that 43% tweet 1-3/week,. 27% do it between 1 and 3 times per day. Less than 10% tweet more than 5 times per day. Check Frequency: The use of LinkedIn for more than HR purposes is driving up the frequency with which people check LinkedIn. With over 35% checking multiple times/day and 29% daily we give LinkedIn a thumbs up. Amazingly enough 2% never visits their profile while the rest checks it once a month. Check Peak: As can be expected with a “professional” networking platform, most people access it during the work day. An amazing 80% do it during work hours. Breaks, mornings and evenigs do not seem to be so popular. It si considered work. 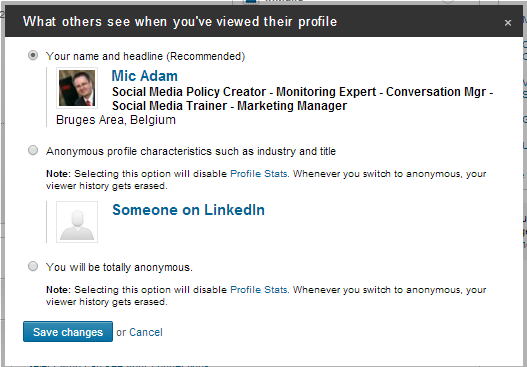 Post Frequency: From experience I know people do not do many Status Updates on LinkedIn. The survey confirmed this again with 27% never posting and 33% only once a month. Less than 11% post daily on LinkedIn. Check Frequency: As expected over 65% check their Facebook multiple times per day. 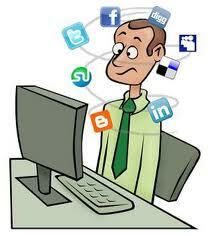 Adding the 17% of daily checkers and we can conclude we are addicted to Facebook! Check Peak: Here too, not many surprises except the fact that before breakfast does not do so well. The highest peak lies in the evening after work. Post Frequency: Since facebook has the highest degree of “lurkers” it is not surprising that weekly (42%) and daily (31%) post are the dominant numbers here. Yet again, Google+ demonstrates its ability to stay under the radar. Even though there are so many accounts (gmail users, android users, picasa users, youtube user, etc.) few people are even aware they have a G+ account. More that 60% never visit the account with another 10% that don’t even know they have such an account. Though this research did not reveal anything dramatic, it confirms that LinkedIn is the professional tool of choice and tolerated in the workplace; Facebook the lurking tool into our realm of friends and brands; Twitter the platform no one really knows what to think of; and Google+ that special place in the desert! 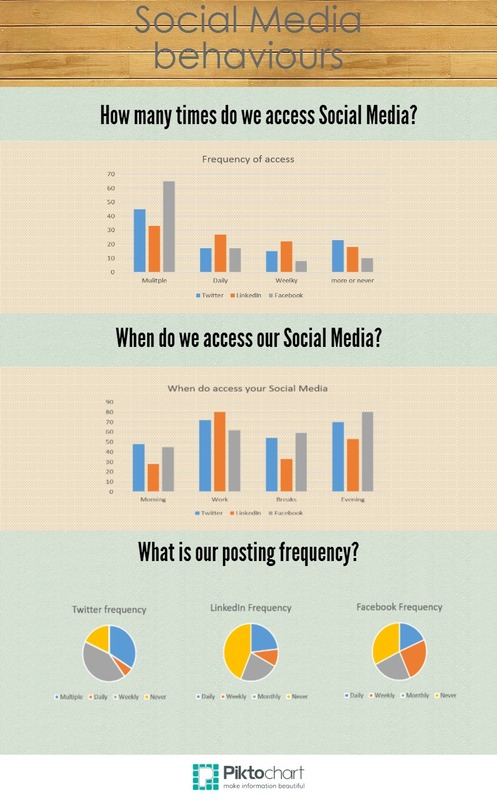 How does your social media behaviour fit in with these results? Here is the graphic representation of these survey results.